(Trenton) - The New Jersey Department of Transportation (NJDOT) today announced a major roadway rehabilitation project over a seven-mile section of Interstate 287 in Morris County that promises a safer, smoother ride for thousands of commuters who travel this section of the highway each day. 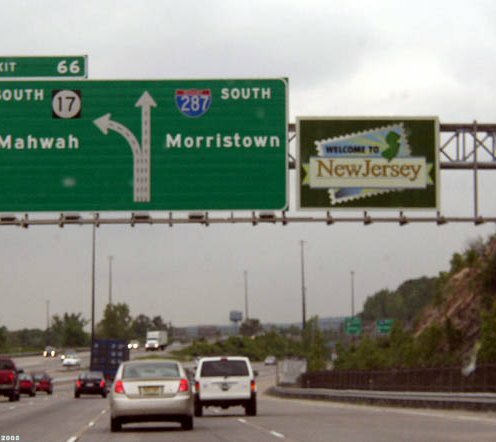 The $27.4 million project, being built with federal funds, will improve I-287 from just south of the South Street underpass in Morristown (milepost 35.4) to the Littleton Road overpass in Parsippany (milepost 42.2). The project will also repair and resurface seven individual bridge decks on I-287 in both directions as well as replace the bridge decks over the Whippany River/Eden Lane in Hanover (milepost 38.8). NJDOT will also install new Intelligent Transportation System facilities such as permanent dymanic message signs (DMS) and traffic cameras along 287 within the project limits. Guide rail upgrades, drainage clearing and various other incidental improvements are included in the contract. “I-287 is a high-volume, commerce corridor that tens of thousands of motorists use every day helping drive the economy of New Jersey, so this rehabilitation project is a wise investment in our future, ” said Transportation Commissioner James Simpson. NJDOT’s contractor, Tilcon, will begin construction mobilization and median work on the highway this week, requiring traffic shifts on I-287 in each direction. Major roadway rehabilitation work will commence later this fall. The highway will be reconstructed in stages to minimize impacts to motorists. • All I-287 travel lanes will remain open in each direction during peak-period hours throughout construction. • Single and double-lane closures will be allowed during overnight and off-peak hours. • Interchange ramps will be repaved utilizing periodic, off-peak closures with detours. NJDOT will install a real-time work zone travel system along the project route. This system monitors traffic in the work zone and relays travel time data to DMS. The DMS then alert motorists of the projected time to travel through the construction zone. I-287 is a major north-south connector serving New Jersey and New York. Due to the high volume of traffic using the roadway and other factors, the pavement has deteriorated and is in need of repair. The project will extend the lifespan of the roadway by more than 15 years and the new bridge decks by 50 years. The project is expected to be completed in fall 2014.